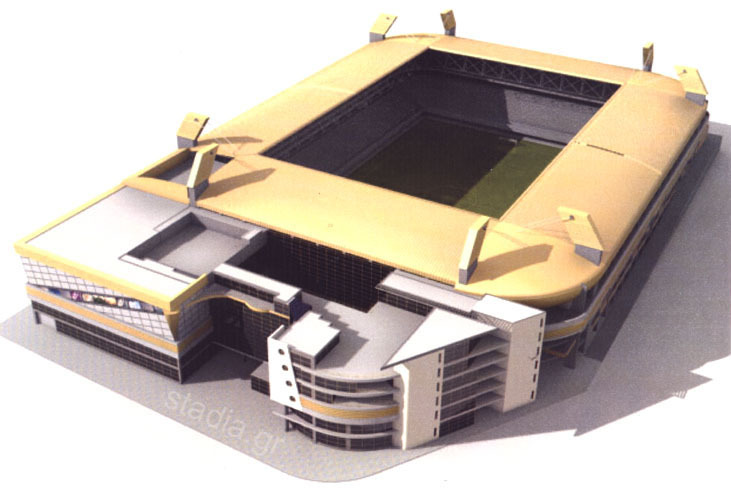 Find below the revised plans for the new stadium of AEK that were revealed in December 2003. You may also have a look at the older plans of 2002 by clicking on the next two links: 1, 2. 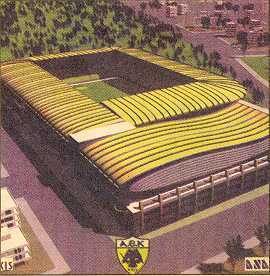 A computer-generated image of the new "AEK Sports and Leisure Centre". 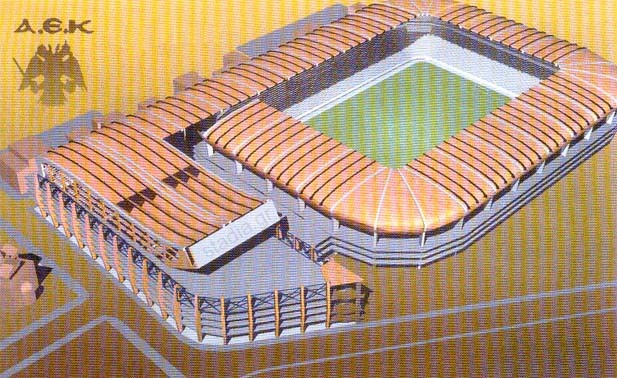 The view is from the south-east and you may see the football stadium with its revised form (double-tiered and different roof). In front of the stadium are the cinemas (left) and the commercial areas (right). A cross-section of the whole complex from the east. You may see the football stadium with its two tiers and, right below it, the basketball arena (right) and the volleyball indoor hall (left). The commercial areas and the cinemas are located on the left of the sports facilities. Note: You may see the above image in full size by clicking on it.